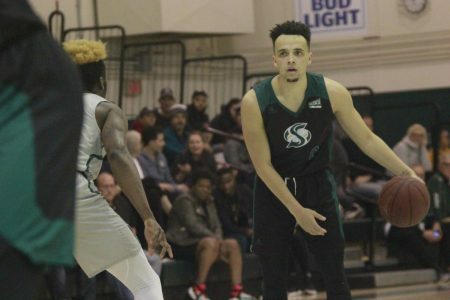 Sac State junior forward Kennedy Nicholas defends an inbounds pass in a 86-75 loss to the University of San Francisco at the Nest on Dec. 5. Nicholas finished the game with 30 points and 18 rebounds. 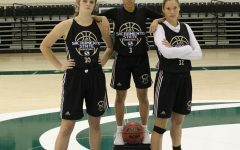 The Sacramento State women’s basketball team started off slowly against the University of San Francisco Dons and were unable to complete the comeback, losing 86-75 Wednesday night. 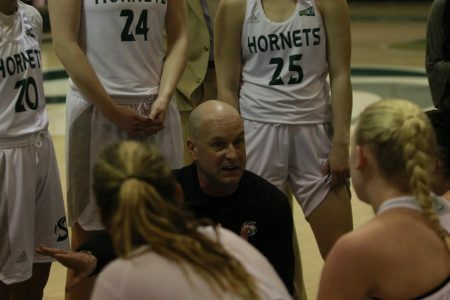 The Hornets [3-2] lost on their home floor at the Nest for this first time this season. 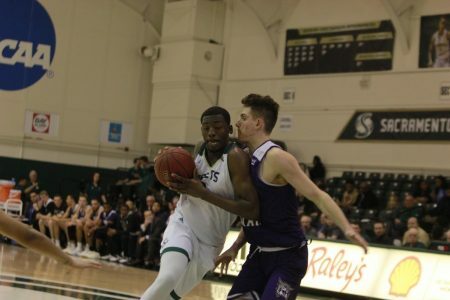 USF [3-5] got out to an early 21-point lead in the first half following a slow start by Sac State, securing the Don’s first road win of the early season. San Francisco went on a 17-0 run over 2:52 in the first quarter, pulling out to a 28-13 lead after the first quarter. 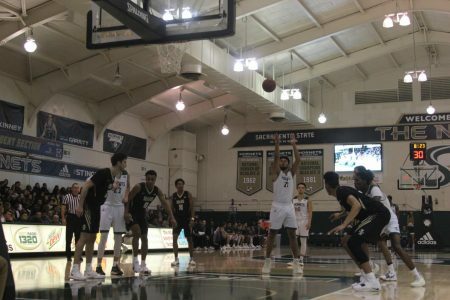 Sac State battled back into the game in the third quarter, outscoring the Dons 21-9 to cut San Francisco’s lead to 1. 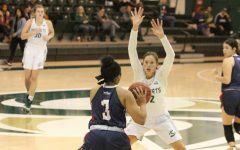 The Hornets were unable to fully complete the comeback, and San Francisco outscored Sac State in the fourth quarter 25-15 to secure the win. 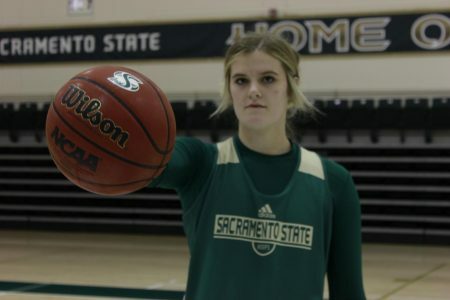 Sac State junior forward Kennedy Nicholas set a new career high scoring 30 points, making 10-14 field goals and 10-15 from the free throw line. 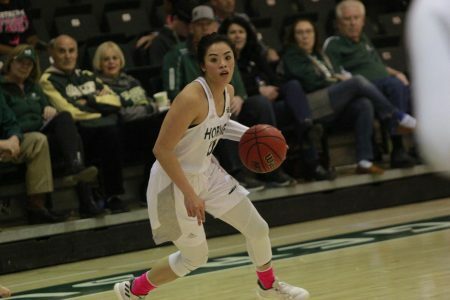 She also tied her previous career high of 18 rebounds that she set in the last game against the University of Antelope Valley. 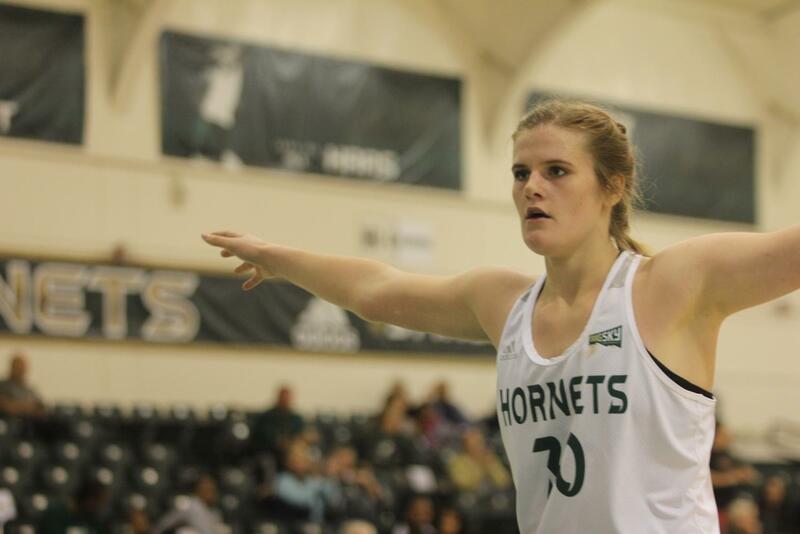 With 10 offensive rebounds, Nicholas kept up her pace as the nation’s leading offensive rebounder. She came into Wednesday night’s game as the No. 1 offensive rebounder and No. 4 overall rebounder in the country. 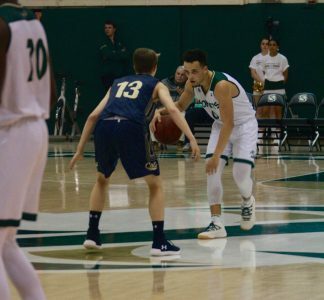 Nicholas was followed in the stat sheet by junior guards Hannah Friend and Tiara Scott, who had 13 and 11 points, respectively. 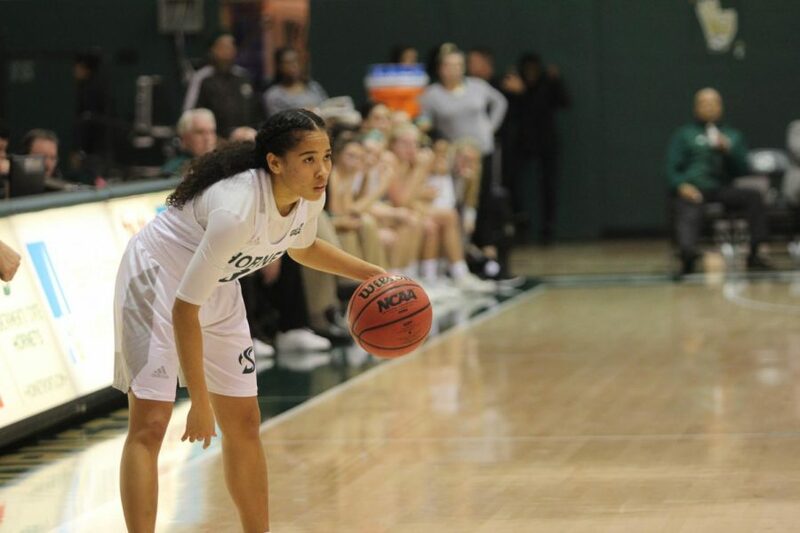 Sac State junior guard Tiara Scott watches the play develop in a 86-75 loss to the University of San Francisco at the Nest on Dec. 5. 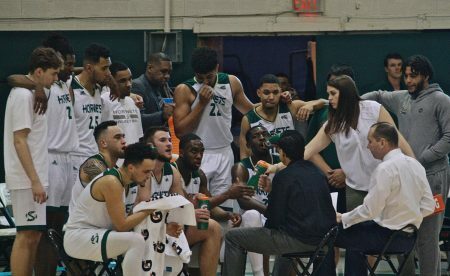 Sac State had a poor shooting night, going 29-77 [37.7 percent] from the field, 3-30 [10 percent] from three and 14-25 [56 percent] from the free throw line. The Dons were led to the win by senior guard Shannon Powell who had a team-high 25 points on 8-12 shooting with 4 rebounds, 4 assists and 4 steals. Junior guard Nia Alexander had 18 points on 9-12 shooting from the field. 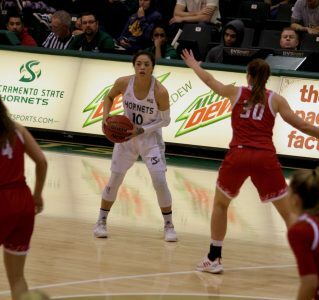 Sacramento native and Grant High School alumna, senior guard Veronica Preciado, returned to her hometown and scored 11 points with 8 rebounds for San Francisco. 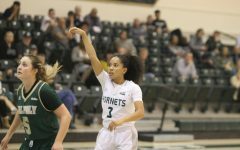 The Hornets have only one player from the Sacramento region on their roster, junior guard Quayonna Harris, who went to Sacramento High School. 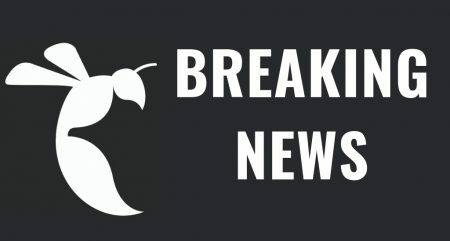 Harris is out indefinitely after hurting her right knee in practice last week. 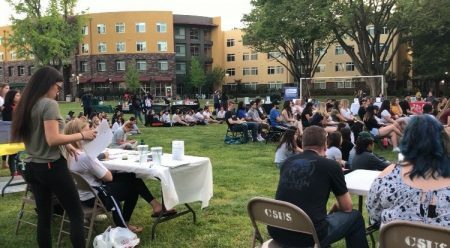 An MRI has not yet been conducted, but it is believed to be a torn ACL, ending the junior’s season. 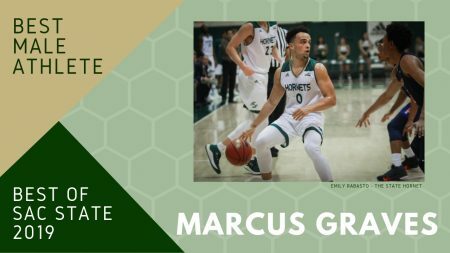 The Hornets play their next game on Friday at home against the University of California, Davis Aggies. The game tips off at 7:05 p.m. at the Nest.